THE Government has dismissed as fake a document purportedly showing a shortlist of recruited primary school teachers submitted to the Public Service Commission (PSC). According to the document, the Primary and Secondary Education Ministry has shortlisted 1 576 teachers for recruitment. 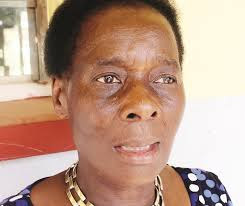 In an interview yesterday, Primary and Secondary Education Permanent Secretary Mrs Tumisang Thabela distanced the Government from the document. “It’s fake. We don’t communicate through social media. As you have seen my signature is not appended there. I haven’t submitted any list anywhere,” she said. Mrs Thabela said the recruitment is ongoing. “There are issues that have to be looked into but we are in the pipeline, am yet to get a briefing on how far the process has gone,” she said. According to the list, 958 teachers would be recruited for the infant level and 618 for the junior level. The list showed teacher allocation for eight provinces, Matabeleland North and South, Manicaland, Mashonaland East and West provinces, Mashonaland central, Masvingo and Midlands. Government last month announced that it was in the process of recruiting 3 000 teachers to address manpower shortages which have badly impacted on the education sector. The PSC froze the recruitment of teachers and other professionals in 2014 and the education sector, in particular, has been hard hit. Some teachers have complained of manning classes as big as 165 pupils. The recruitment is also intended to facilitate implementation of a new curriculum introduced over a year ago by the Ministry of Primary and Secondary Education. The curriculum places emphasis on practical subjects and a continuous assessment of pupils instead of judging them on the basis of a single end of year examination. The Government has given a special dispensation to critical sectors, among them the teaching fraternity, to unfreeze some posts. Prospective candidates registered at their nearest district education offices earlier this month. In an earlier interview, Mrs Thabela said her Ministry was still reviewing the vacancy rate across the country. “The recruitment will help us in a big way. I cannot give you, off the cuff, the vacancy rate but we are still working on it to establish where it leaves us,” she said. Mrs Thabela said focus would also be on long marginalised indigenous languages like Kalanga, Tonga and Nambya. The Government has not been recruiting teachers over the years citing limited fiscal space. Teacher unions welcomed the planned recruitment of the 3 000 teachers saying this should go a long way in easing the workload for their members and the implementation of the new curriculum.